Blog I Keep My Word! 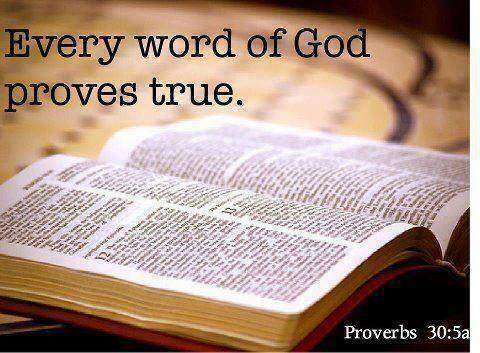 My Word is truth, and I keep my promises, says the LORD. Trust in what I say, for I never say something to bate you. I never do anything manipulative, and I do not tease you. Can you take Me at My Word? For I will honor My Word, and I will perform exactly what I said, and there is no power that can stop Me. Believe in My Word, and receive the promises, for your faith in Me and My Word is essential. Do not waver in your faith, but trust that I AM good for My Word, and will not speak it and find an excuse not to fulfill it, says the Lord. Many may have lied to you, manipulated you, and made promises to you that they did not fulfill, just to get you to do something for them. But My gifts are GIFTS! All that I do for you is because of My love for you and My grace. You do not earn what I have promised. JUST BELIEVE and RECEIVE! Trust Me. Trust My Word! For My Word and Will and Way and Work agree always, and I will perform My Will. I will do My Work! I will have My way, and My Word will not be undone. My blessings will enrich you, and further you, and you will know My infallible love for you, not just what I tell you, but by My giving to you. For I love to give to My beloved, and I will pour out my blessings upon blessings upon blessings to those who love and trust in Me, says the LORD.